An all-inclusive holiday can be a great option for busy families. Pick a resort, pay once, pack your bags and go – relaxed in the knowledge that everything is included, from flights and accommodation, to meals, drinks and activities. Job done. Of course, to some people, the very concept of an all-inclusive holiday is like an assault on their human rights, depriving them of the freedom and flexibility to plan, peruse and piece together an independent holiday. Whichever camp you’re in, there’s no denying the peace of mind that comes with all-inclusive family holidays. They not only allow you tighter control over your holiday budget, but also release you from the shackles of a ‘spending money kitty’ while you’re away. You can arrive at an all-inclusive resort with a carefree bounce in your step, your wallet wonderfully bereft of foreign currency or traveller’s cheques. There’s also an enticing range of all-inclusive resorts to choose from. 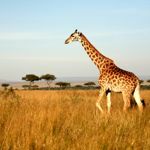 Read on for my recommendations for top all-inclusive operators, plus suggestions for other types of all-inclusive family holiday, such as safaris, cruises and activity breaks. Club Med can claim to have invented the all-inclusive holiday and it now has 46 resorts worldwide that cater specifically to families. 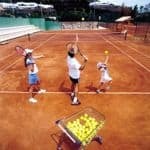 Where it excels it is in the gourmet food, children’s clubs and sports and activities, from horse-riding and golf to the flying trapeze and roller-blading. See the latest offers. It’s not easy to recommend upmarket family-friendly all-inclusive hotels in the Med that work well with children of all ages, but I’m impressed by IKOS Olivia in the beautiful Halkidiki region of Greece. There’s a choice of rooms, suites and bungalows, some with private pools, and there are beach parties along with live music, a Football Academy, tennis club and mountain biking. If you’re on a budget, Bulgaria is great with low prices even in July and August. Resorts like Sunny Beach have great all-inclusives like the four star Hotel Laguna Park with its own water park. 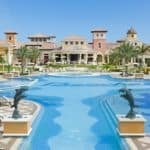 Also check out Jet2Holidays which has 26 three-star and four-star family-friendly hotels with water parks in Spain, Greece, Turkey and Cyprus. Unusually, it has special offers during the school holidays. Beaches offers luxury all-inclusive resorts in Jamaica and the Turks & Caicos. Just about everything you could possibly imagine is included: luxurious family suites, all meals, drinks and snacks, supervised kids activities, golf and watersports, airport transfers, butler service, tips, taxes – even weddings! There’s so much to do at a Beaches resort that you probably won’t see your children for dust. 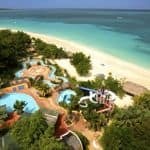 At Beaches Turks & Caicos and Beaches Negril, kids will make a beeline for the Pirates Island Waterparks with their flumes, lazy rivers, surf simulators and swim-up soda bars. Or they’ll get into the swing of Sesame Street with Beaches’ exclusive Caribbean Adventure, featuring stories, parades and treasure hunts with Elmo, Big Bird and the Cookie Monster. Teens can hang out at the XBOX 360 Game Garage, Scratch DJ Academy, TrenchTown Arcade Lounge or their very own nightclub. 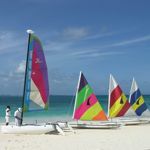 Antigua is popular with families, partly because of the direct flights and short transfers, along with excellent hotels. I recommend the all-inclusive Blue Waters which has a free kids club. An all-inclusive offering from Mark Warner, the Phokaia Beach Resort in Turkey is set on a superb sandy beach, with a choice of interconnecting rooms, family rooms, villas and suites. Included in your holiday are flights, resort transfers, kids’ clubs, evening childcare and watersports (including tuition in sailing and windsurfing). 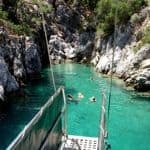 We also recommend these flotilla sailing holidays in the Mediterranean, which are great for both beginners and experienced sailors. If you want to learn the ropes first, try this Stay and Sail Holiday. If you’re on your own, check out Single Parents on Holiday which runs hosted group trips. Its most popular hotel is the all-inclusive five-star Iberostar Lanzarote Park in Lanzarote. Also check out Beachcomber Tours, which offers all-inclusive options in Mauritius. Resorts are the obvious choice for all-inclusive family holidays, but they are not the only option. 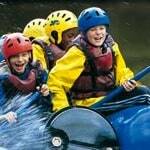 Well known for their residential holiday camps in the UK for 7-17 year-olds, PGL also runs multi-activity family holidays in France. 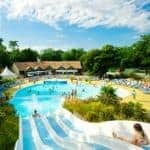 You can combine canoeing down the Ardeche River with watersports on the Med, or a day at Disneyland Paris with archery, abseiling and zip-wiring in the grounds of a nearby chateau. Everything is included, from coach travel and full board accommodation to professional tuition and a packed daily programme of activities. It’s also non-stop action at one of the seven holiday camps in the UK operated by Kingswood Camps. You can choose from various adventure holidays, such as multi-activity, football academy or surf school. If you’re heading into the wilds of Africa, there’s little alternative to going all-inclusive. 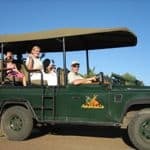 Family safaris usually include transfers, full board accommodation in a lodge or tented camp and guided activities such as game drives, walking safaris and a special programme for kids (bug collecting, bark rubbing, making casts of animal tracks etc). 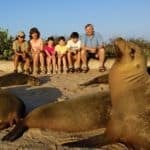 Natural World Safaris has a selection of tailor-made family safaris in Kenya, including a 12-day bush and beach combo, staying at Lewa Wilderness Lodge near Mt Kenya, Kicheche Mara Camp in the Masai Mara and Funzi Keys on the Indian Ocean coast. 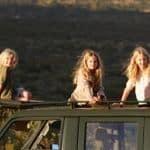 Or take a malaria free safari in South Africa. Like safaris, cruises by their very nature, veer towards the all-inclusive realm of family holidays. The big ships are like floating resorts with dining 24/7, children’s clubs and a plethora of activities. P&O Cruises is one of the best line for families. Its best ships include the Azura and Ventura. Both offer an in-cabin baby listening service plus expert care for under-2s. Marella Cruises is great value with fully-inclusive rates (including tips) and highly rated kids clubs and children’s menus. See a full range of family cruises and the latest offers. 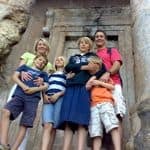 Peter Sommer Travels has some wonderful family cruising holidays, which include full board accommodation on a traditional sailing gulet that not only comes with a skipper and crew, but also an expert guide who will lead your little Lara Crofts on archaeological excursions.